Many cheers and congratulations! Your business is on the rise and its now time to move into a new commercial property! You’re growing in numbers; your workload has increased and your current office is no longer cutting it as your company headquarters. That said, an office upgrade is on the agenda, and you’re looking for the right commercial property for rent in Malta. Quicklets and OfficeFinder completely understand. Finding an office for rent isn’t always such an easy ride, especially when you’re trying to do it with minimum experience. That’s where we come in! Here at OfficeFinder, we’ve put together these 5 crucial tips for helping YOU find the perfect office space in Malta! Commercial property size is the mother of all questions. When evaluating office space, Evaluate the following questions. · How many employees will be working from this commercial property? · How much space will 1 employee take? (desks, number of offices). · Is this office space big enough for my team? Quick fact. We spend a third of our lives at work, so you better make sure that your commercial property in Malta is the right fit for your team! 2. Make sure that the office for rent is in a good location! That’s right, “location, location, location!”. We’re pretty sure that you’ve all heard this phrase before. When looking for a commercial property in Malta, the question “where?” definitely plays a major role. Take into consideration how accessible your office space is to both your employees and customers alike; keeping in mind the importance of walk-in clients and how valuable they truly are for your business. 3. Your commercial property’s layout must be on point! Whether you prefer having a spacious office or would rather divide your commercial property into closed rooms, make sure that your layout reflects your brand and is ideal for your work flow. We normally calculate around 10sqm per person to fit comfortably and avoid being too overcrowded. Open office spaces in Malta seem to be the latest trend nowadays! We definitely recommend it to anyone who doesn’t want to scare off potential clients due to having a horrendous office stench. The odor of a stuffy room can range from mildly unpleasant to offensively musty - nobody wants that. Keep your commercial property’s sweet scent alive and create a style that will make everybody smile. 4. Work with a real estate agent! Home to a wide database of commercial properties and a dedicated team of real estate agents, finding an office for rent in Malta will definitely be a smooth process when working with Quicklets. We’ve got every commercial property you’re searching for right here! We’re discussing your office space, a place that needs to sustain your business, not sink it! Think WISELY and rent a commercial property that you can afford. Let’s put it this way. What’s the point of leasing a gorgeous commercial property that drains your pocket and puts you in a pickle? Exactly. There’s no point at all. Don’t choose an office in Malta that is going to put your business too far into debt. Crunch the numbers and get it right! Whatever commercial property you’re looking for, count on Quicklets to help you find it. Our trained team of letting specialists will help you find the dream office space in Malta that you deserve! 1. Seek out a commercial property that is big enough for your team. 2. Acquiring an office for rent in Malta is all about being accessible to your employees and visible to your clients. 3. When choosing a commercial property for rent in Malta, keep in mind the comfort of your team and your flow of work. 4. Real estate agent’s will surely help you find the ideal office space for rent in Malta. Give us a ring, we’d love to help turn your dream into a successful reality! 5. Don’t break the bank just to impress. Choose an office space in Malta that fits your budget! Are you currently searching for a commercial property for rent in Malta? Then you’ve come to the right place. Get in touch today and leave everything in our hands. 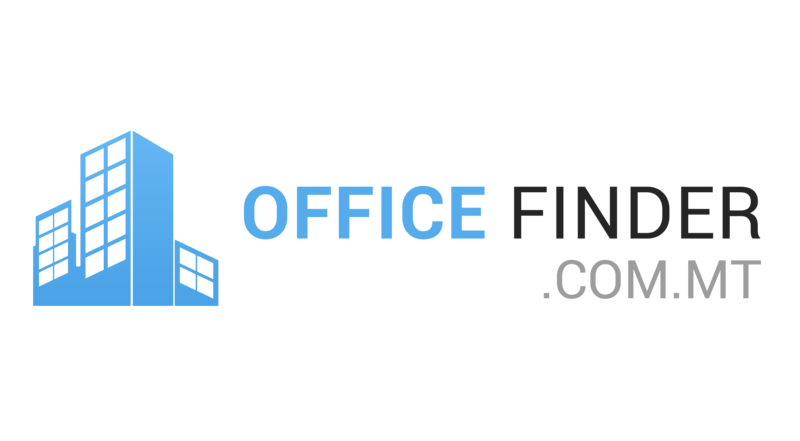 The Office Finder crew will help you find the perfect office space for your business!